People often ask me what my favorite Italian city is. Although I love them all for their unique aspects, I have to say that Florence is the one that completely captures my heart and soul. Florence has its own vocabulary for the eye. It is a city that the Italians call an insieme, an all-of-it-together kind of place. 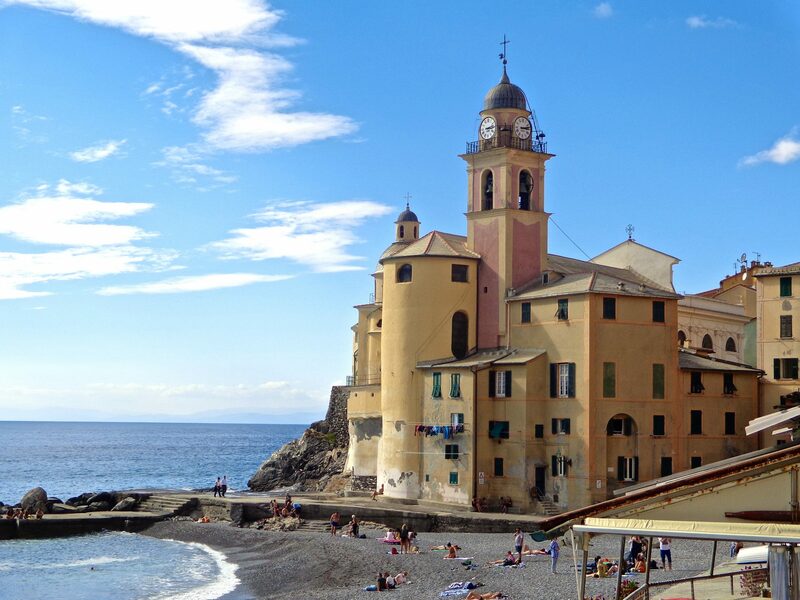 It is the birthplace of the Renaissance and has the best Renaissance art in Europe. 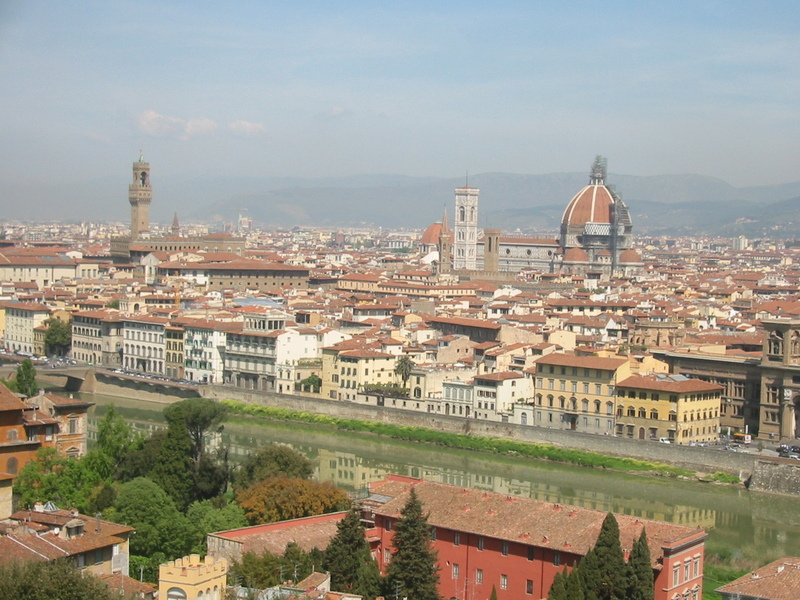 Florence is unbeatable for some of the very finest food, fashion, and street markets. Not to mention unrivaled gelato and superlative people watching. Shopping is a full-time occupation in Florence. 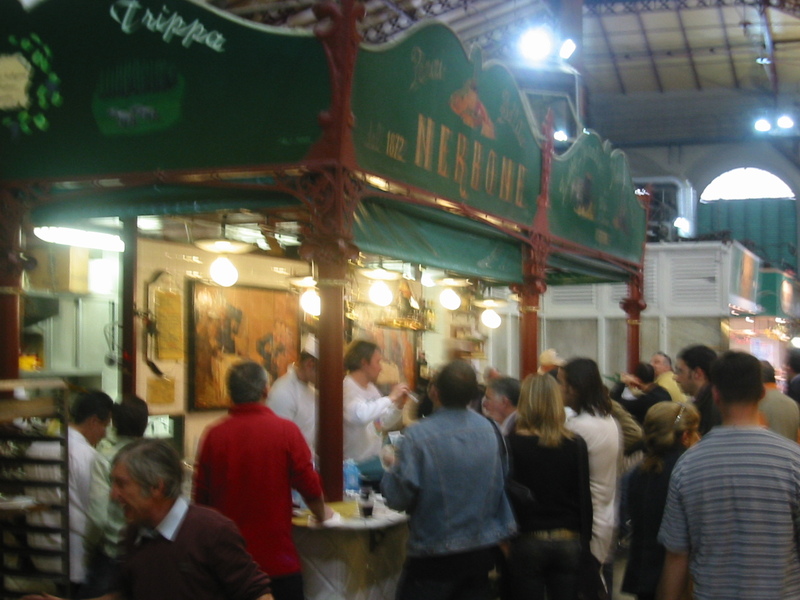 Inside the Mercato Centrale (Central Market) you will find everything imaginable. The huge iron and glass covered building is full of enticing food, colorful produce, generous free samples, pasta-making, eateries, meat counters, and gigantic stacks of pulled pork sold in a bun for a pittance. Rub elbows with the locals and visit this elegant Florentine market. Hours are Mon-Sat 7:00-14:00, closed Sun year around. 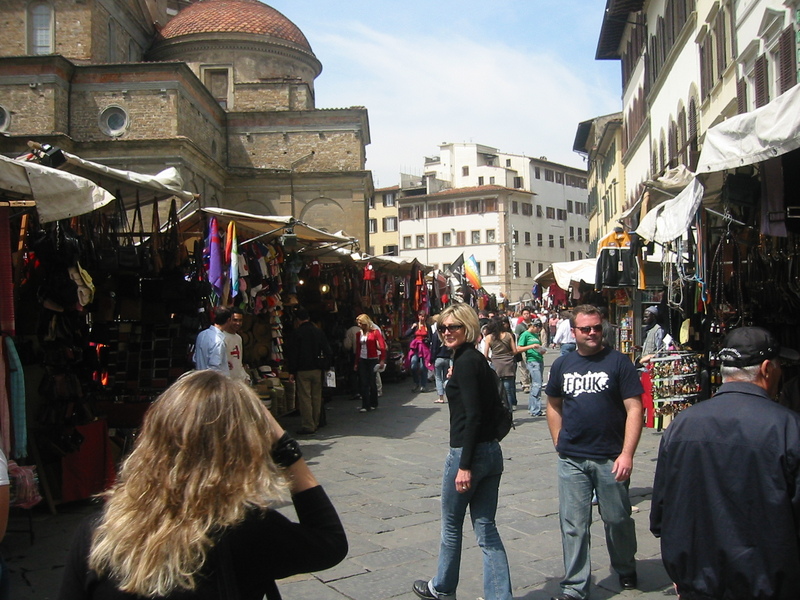 Surrounding the Church of San Lorenzo is Florence’s spacious open-air market. Leather is a popular item, from clothing to purses to boots. Here the prices are soft, so you can use your bargaining skills. Located between the Duomo and train station, the hours are daily from 9:00 to 19:00. There are plenty of these pantomimists around. Actually, they are quite impressive with their ability to stand absolutely still for hours. Kids especially love these guys, and flock around them along with the birds. Occasionally the statue will acknowledge its admirers with a glance and a nod, but don’t count on it. On the other side of the Arno River and up to the Michelangelo Park viewpoint, the hilly landscape reveals a long portion of the old medieval wall that encompassed the city at one time. Invaders from all directions found it pretty difficult to scale those walls and penetrate into the city. Florence remained fairly well protected throughout its earlier history. The walk up to Michelangelo Park Viewpoint is well worth it, and also provides vast views of Florence, giving opportunities for great photo taking. Nighttime is spellbinding. Behind Michelangelo Park Viewpoint is this classic 12th century Florentine Romanesque church, stately in its green and white marble facade. 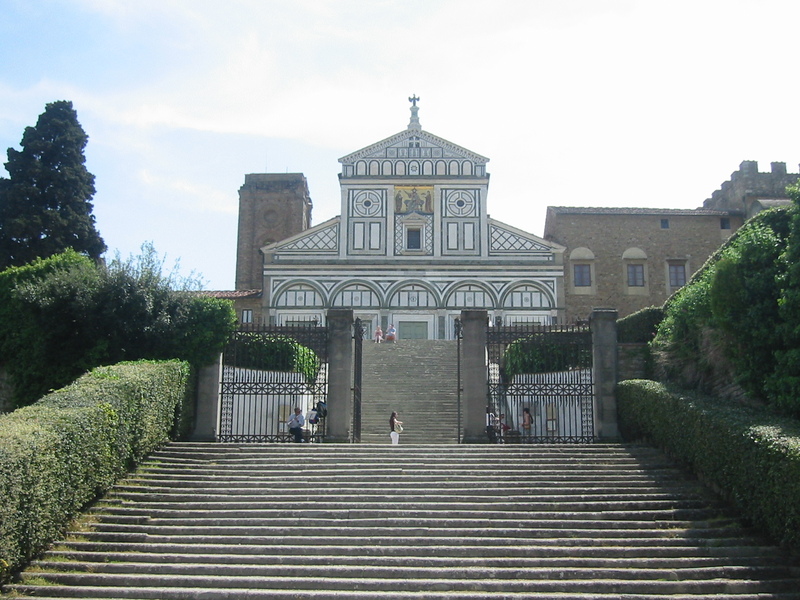 One of the oldest churches in town, highlights within the church are the glazed terra-cotta panels on the ceiling by Luca delle Robbia, an exquisite Renaissance chapel, and radiantly preserved frescoes in the upstairs sacristy, showing scenes from the life of St. Benedict (painted 1350 by a follower of Giotto.) I loved these paintings, and spent a lot of time in this room. Behind the building outside is the oldest graveyard I have ever seen. It’s full of life-size statues dancing, crying, sporting wings, little children laughing, and so on. I found it very interesting to walk through, but I don’t recommend a night-time stroll. Florence is very multi-layered, and although I have seen a lot I know that I’ve barely scratched the surface. 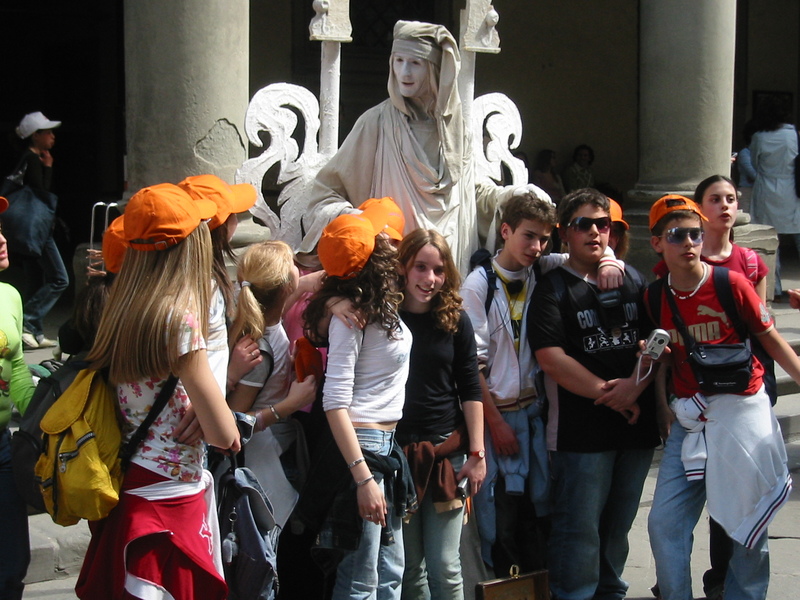 There are magnificent churches, museums and other historical venues that are Florence’s landmarks and not to be missed. Florence beacons me to return time and again, with each visit an entirely new adventure. Shopping….don’t get me started. I spent 2 entire days looking for leather boots when I first came to Florence. No more…now it’s to soak up the ambience. oh don’t have any of those😎-it’s my niece I’ll be going with. We are both really looking forward to it! Your niece! Well, I was sorta close:) Anyway, it will be a wonderful time. Ciao Diana! Thank you…and I do understand your take on Florence. I love those neighboring hill towns as well. My memories of Florence have been wonderful so far. But it’s been a while…next time I return it will be on the list. Good to hear from you! I also love Firenze, but not the crowds. Having been to Firenze three times, I would rather go back to Verona, Lucca and Arezzo of the larger towns, and the hill towns such as Montepulciano, Orvieto and Pienza. There we can enjoy the Italian lifestyle in comfort. Indeed, Susan. 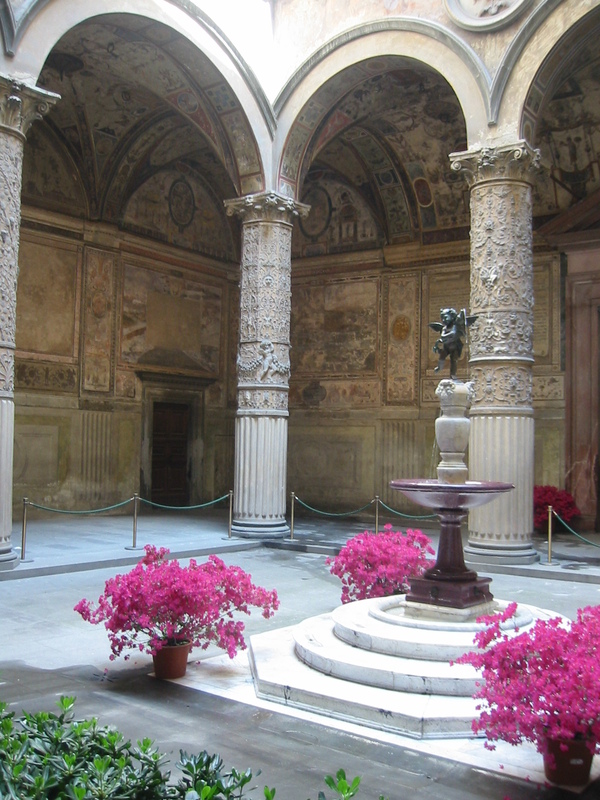 The Bardini Gardens are also peaceful, and an easy walk on that side of the Arno. That would be two separate posts, of course. Check here Susan, the bio is coming different, what I was telling you! Grazie, Susan, for this reminder of why I fell in love with Florence. I’m heading back for 2 short days in a couple weeks. Your words and pictures have made me even more excited. Just love Floence… It’s my most favorite town by far!!! Yes, I know what you mean….it becomes like an old friend, and each time I return to Italy, I just have to visit Florence!! Yes, Dan’s fan club will have to handle this sad bit of news! But the way Dan keeps them engaged, I think it may just blow off….?? Thank you for the comment, Rick.